shutterstock_232976053Preheat oven to 325 degrees. Beat 2 egg whites until soft peaks form. Add in 1 C powdered stevia, 1 pinch salt & 1/2 t vanilla and beat until stiff peaks form. 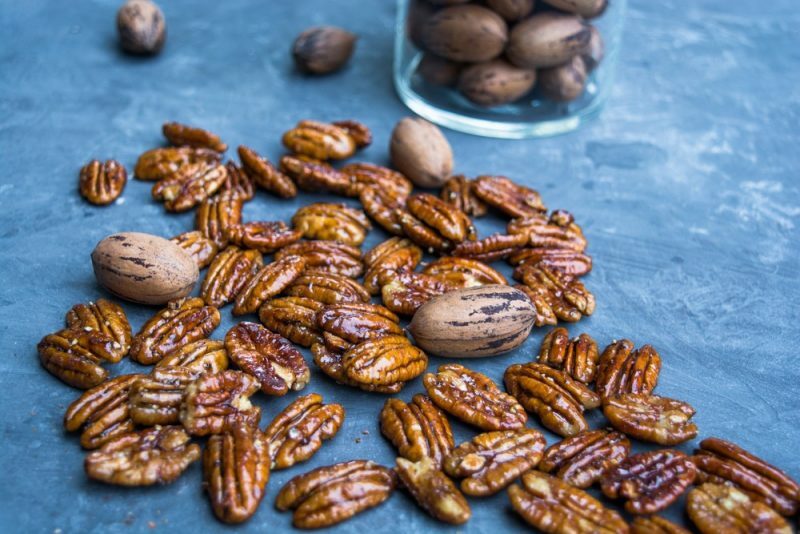 Fold in 1 lb pecan halves. Place 1/2 C butter in a 9×13 pan and put in oven to melt. Evenly spread nuts over butter and bake for 30 minutes, stirring and turning every 8 minutes. Place on foil and cool.